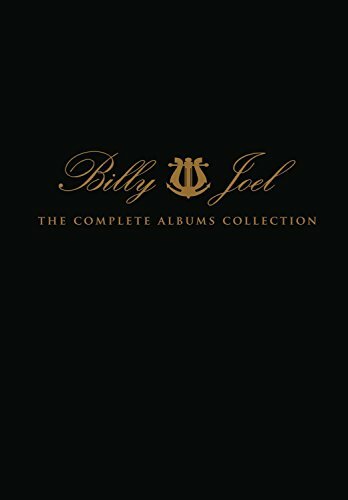 A triumph of technology and design, with respect for history in every detail, The Complete Albums Collection features 14 classic Billy Joel albums plus a bonus disc of rare and original recordings. This deluxe limited edition package is the most comprehensive collection ever by a consummate artist who has sold over 100 million records in the course of his 40-year career. Featuring brand-new digital remasters by Ted Jensen for the best sound reproduction of Billy Joel's music ever on Compact Disc, each CD is packaged in a replica cardboard jacket and sleeve reproducing the original vinyl LP artwork in precise detail. New liner notes take the listener behind the scenes to the making of these timeless albums, featuring previously unpublished quotes from Billy, rare photos from the artist's archives and complete lyrics to every song, all housed in an elegant display case. From the angry young Piano Man to the River Of Dreams and beyond, The Complete Albums Collection is the definitive artifact: a timeless body of work embraced by millions across multiple generations.